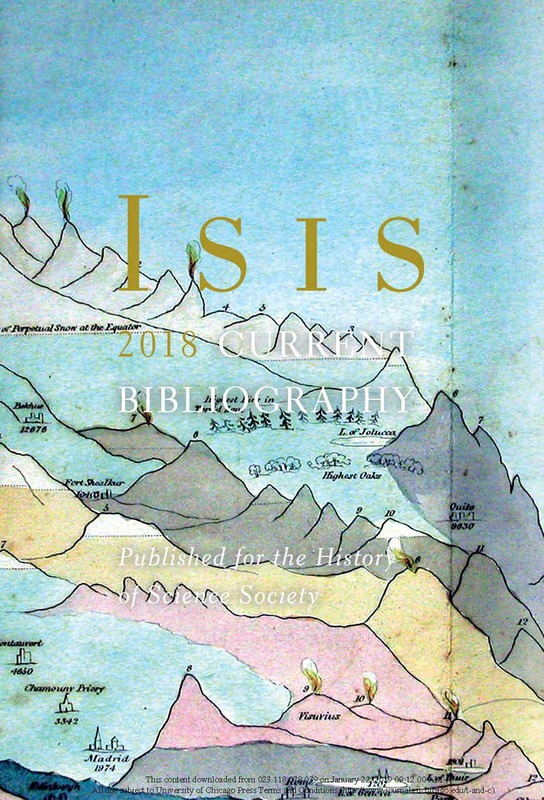 The new 2018 issue of the Isis Current Bibliography is now available. You can find it here: https://www.journals.uchicago.edu/toc/isis/2018/109/S1. This year the format has been changed to make room for a bibliographical essay. Francesco Luzzini, one of the IsisCB Contributing Editors, has written this inaugural piece on Italian language bibliography; be sure to read this interesting study, “Bibliographical Distortions, Distortive Habits” (https://www.journals.uchicago.edu/doi/abs/10.1086/702660).